Replacement lift-off hood pin brackets for 1969 1/2 Superbee and Roadrunner B-Body models equipped with an A12 440 Six Pack fiberglass hood. These brackets are welded and dipped in red oxide primer, ready for paint. Sold as a pair. Made in the USA. 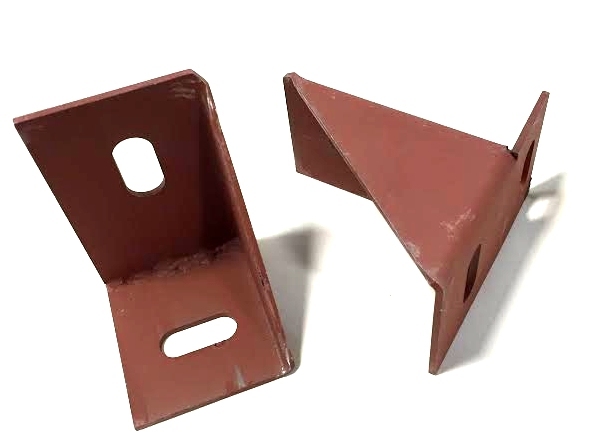 Our brackets are not raw steel like our competitors on here, we spend the extra time and money to dip them in red oxide to prevent rust and corrosion. We believe this is well worth the time and effort for those restorers that demand the best.